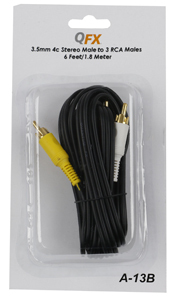 QFX's 3.5mm Audio/Visual 6 Foot Cord is the answer to a lost camcorder cord. Many models are compatible to the 3.5mm adapter. 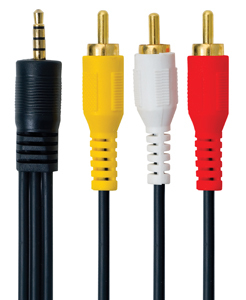 The other end hooks up to receivers such as televisions, video cassette recorders, DVD players, projectors and other receivers that have the 3 RCA male, red, yellow,and white hook-up.